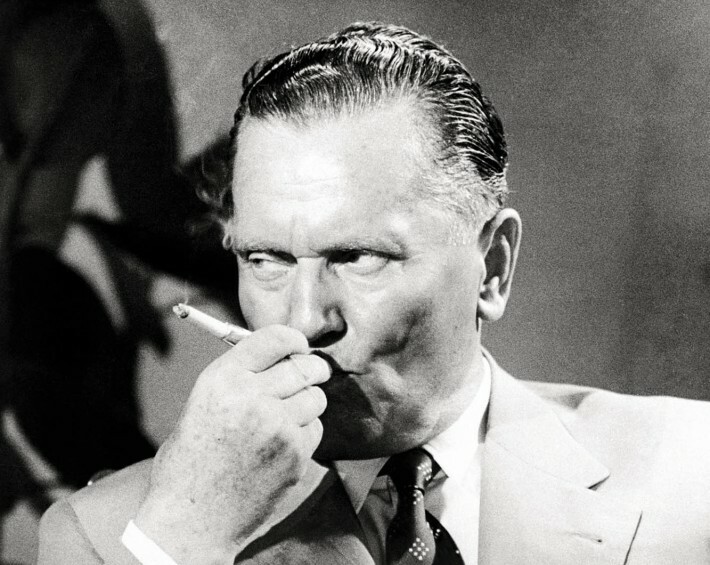 Josip Broz Tito, whether you agreed with his policies or not, without a dispute, was one of the most remembered and controversial figures in the Balkans. We’re all familiar with the facts. Tito upheaved the system in place and introduced the Communist regime to the region. All meanwhile accomplishing his political ambitions of becoming the leader of the Socialist Federal Republic of Yugoslavia from 1945-1980. Tito had a massive personality cult built around him. In order to preserve that cult, it was against the law to tell jokes about him or say anything that presented him in a bad way. Even though it was against the law – so many stories, anecdotes were secretly shared among the people. These are our top picks of alleged Tito anecdotes that are circulating to this day. In 1944, Tito visited Vršac and some surrounding villages, as he was interested in how people live, how they get along with their neighbors. In the subway on Terazije, there was a previously unseen chicken-roasting machine installed, which worked automatically when dinar (local currency) was inserted in. It was opened by Tito and the organizers of the ceremony wanted for President of the Republic to try it out first. “I do not have a dinar,” said Tito and his wife Jovanka did not have the money either, so the organizers asked the journalists present if they can help Tito. “I have” journalist Ljubiša Milanović said. After that Ljubiša’s colleagues teased him for not cashing in on writing an article such as “How I paid Tito’s lunch”. Back then it was very popular to write articles and books about Tito, especially after his death. Because he was such a fascinating man, all those articles and books sold quite a lot. Stalin never sent another and kept this letter in his desk until the end of his life. During the ongoing persecution of communists in 1934. Tito was travelling to USSR (the Union of Soviet Socialist Republics) via Vienna. He was sitting in a train compartment with an Austrian woman traveling with her newborn. When the train approached Maribor, border police boarded the train and started doing regular passport check. The Austrian woman handed the baby over to Tito while she was looking for her travel documents. Soon enough, it was Tito’s turn to show his travel documents. He was traveling with a badly forged passport of a Czech engineer by the name of Tomanek. The moment he handed over the passport to the policeman, he felt something warm in his lap. Quickly he lifted the child and everyone could clearly see that his light beige, impeccable suit had a large stain – the baby had soiled herself. The policemen distracted by an entertaining and funny situation only glanced at Tito’s passport before letting him proceed his travel. During the national liberation struggle, on the liberated territory in moments of rest, there were organized various sporting events to boost morale. On one occasion there was a football game. The game was full of violations, the referee was hesitant and inconsistent, and so the game was interrupted more than a few times. There are many ridiculous theories such as Tito being murdered in Russia and a man that claimed his identity was a Russian spy, or that he went to same high school as Adolf Hitler, that he was protected by the Vatican and belonged to the order of Freemasons. Do you know any anecdotes told by your parents or grandparents? Please share with us in the comments!